Anxiety is a term that unfortunately is widely thrown around to describe how people feel in a bunch of different situations; exams, before an important meeting or interview or even making small talk. But it seems people seem to have forgotten than anxiety is a genuine psychological condition – that effects around 1 in 3 people. Many often think of anxiety as just being nerves or being bit uncomfortable, but it is so so much more than that. It’s when these feelings start to become somewhat unbearable, and interfere with everyday life and prevent you from doing everyday tasks, that is becomes a proper issue. Before this goes any further, I want to urge you that if you feel like this blog relates to you a bit too much, please go and ask for help. Many people don’t feel like they want to reach out to their parents or friends out of fear of being seen as weak. But asking for help is one of the bravest things you can do. So ask your teachers, friends, or even just have a look at sites like Beyond Blue for ways to help manage your anxiety, because you will be better off for it. Also,there will be times during school that you might notice friends are struggling with anxiety, or they might even tell you. When that happens, it can be a bit overwhelming because the first reaction is usually, ‘what can I do to help’. Some of the best things you can do when you are trying to help a friend are to do some research on what anxiety is – trying to understand what your friend is going through will make it much easier for you to help them if you’ve researched some ways to do so. Other than that, just keep an eye out for times when your friend might be getting anxious, and when that happens, just listen to what they have to say. What they are stressing over might seem completely irrational, and they probably know it is as well – but don’t mention that. Also, probably the worst thing you could do would be to tell them to ‘clam down’. 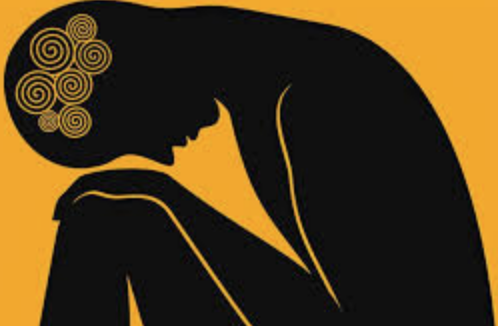 While the conversation around mental health is beginning to become much less stigmatised, unfortunately, many schools are failing to equip, or are just beginning to start to help the students that they see as at risk of suffering, or are already suffering from anxiety. Along with this, there are still many who fail to see any sort of mental health issue, such as anxiety, as a genuine problem. But if there is one thing that I know, is that anxiety can cripple you as any physical injury can. You wouldn’t expect someone with a broken leg to run a marathon, so why are people with anxiety expected to put themselves into situations everyday where they are at risk of having an attack? For myself in particular, I always had a bit of anxiety growing up, but once I hit grade 11 and 12, it became a serious problem that I had to get help for. I put a lot of pressure on myself in school to get A’s, as I had set high goals for myself and good grades were the way to achieve these goals – but it came at a cost. Grade 12 for me, was riddled with anxiety attacks. The worst I can remember is in week 4 of the first term when I was handed a revision sheet for my Ancient History exam. I remember thinking how everything was becoming so real, and I couldn’t contain myself anymore, I broke down and wasn’t able to calm down for what seemed like forever. Unfortunately, this wasn’t the only time this happened. However, I was lucky to have some amazing teachers who recognised that I was struggling, and did everything they could to help me get through. 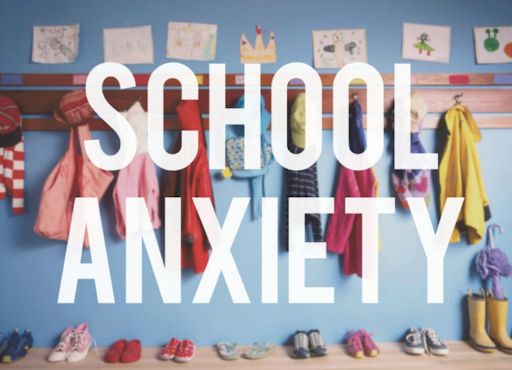 Anxiety can affect so many aspects of school, in particular the most important moments.Handing in an assignment, starting an exam, such as QCS and so many more. And while unfortunately, there aren’t many ways you can get around doing these things, and many schools might not let students with anxiety take an exam indifferent conditions to the usual silent room with 30 people in it, there are ways to manage anxiety yourself. First,gain an understanding of what your anxiety is and how to recognise it. This is best done by going to a psychologist, as it is important to never try and self-diagnose. 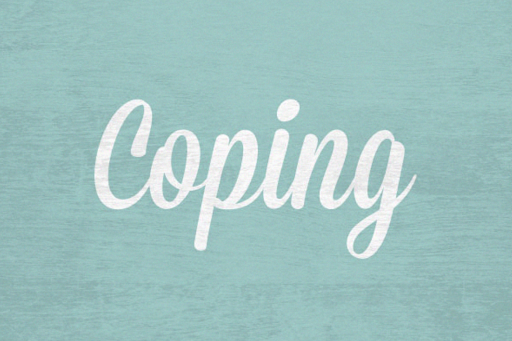 From there learn some coping mechanisms to try and handle your anxiety when you feel it being triggered. 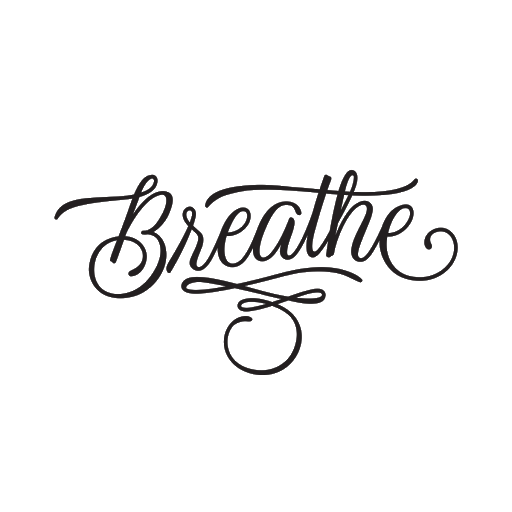 The simplest, and often most effective of which, being breathing. From there, it is important to reach out to a teach or staff member at your school who you feel comfortable opening up to about this. While this may be scary, I promise that they will be willing to listen to everything you have to say, and will do everything they can to help you manage your anxiety. As an Academic Personal Trainer, If I were to see a student suffering from anxiety – I would make sure getting that anxiety under control becomes to top priority. Trying to work while feeling anxious, or even having an anxiety attack is nearly impossible. So it is usually best to put the work at hand aside, which might stress the student out more, but that is when you need to explain that no good results can come from when they are feeling like they are. And again, it is the same if your friend were to be suffering from anxiety, the best thing you can do is listen to everything they have to say and just be there for them. They generally aren’t asking for advice, and someone suffering with anxiety generally won’t accept advice in that moment, but if you have some which is based on personal experience, it is best to ask if they wish to hear what you have to say, and if yes, then do what you can to help them. Something you can also do is talk to your Academic Personal Trainer, as they often are happy to mentor students and genuinely want to see you do your best. They will sit with you and listen to you and whatever you feel you need to vent about so that you can continue achieving at the highest standard that you can. Next, learn to recognise when you feel your anxiety coming on, and with as many teachers as you can, have a subtle way to let them know that you might just need a minute out of the class or your exam to try and calm yourself down. Something I like to do is find a certain song, or even a 3-minute meditation on Headspace to try and calm down. 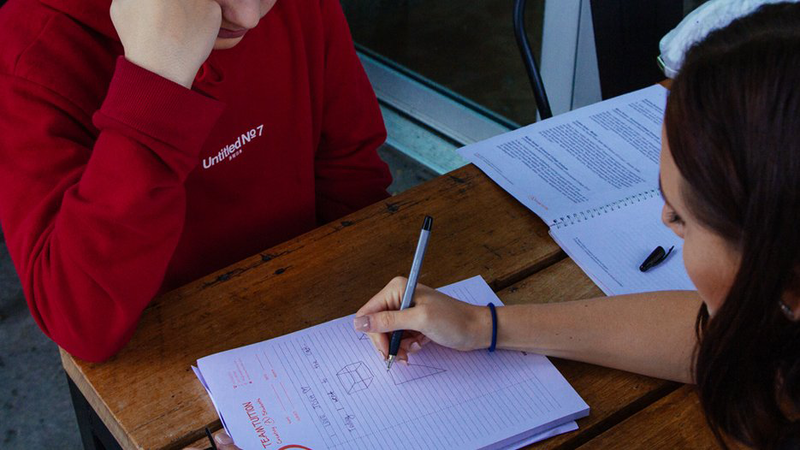 While these are ways to cope in class, exams can be a whole different story for students with anxiety. While it is normal to get nervous before exams, those with anxiety may feel like the exam is the absolute be all and end all, and if you try to tell them that ‘it’s going to be okay, it will be over soon’, chances are you are making them feel worse. Some things I would do before an exam when I feel an anxiety attack coming on (which, let’s be honest, it was all of them) would make sure the night before and morning of the exam were as relaxed as a I could make them. I was always a student who was on top of their work, and would study hard, but I always had a rule that I wouldn’t study after 7pm the night before the exam. This was so I could do something to relax, whether it a mediation, just listening to music, stretching or anything of the sort to take my mind off it – and to get the best night’s sleep that I could. Also, making sure your bag is packed with every possible thing you think you might need the night before the exam is a great way to stop stressing about all the things you have to do the next morning. With that, the morning of it is best to get to school a good while before your exam, just so you can adjust to your surroundings before the exam. Recognise first what your anxiety is, as well as what triggers it. During a time when you aren’t feeling anxious, go to a teacher or staff member and explain to them what is going on and develop a system where when you feel your anxiety coming on, that you can take a break from what you’re doing. When you feel anxious, do your best to remove yourself from the situation you’re in, and find one friend, or even just be be by yourself somewhere quiet, and listen to soft music or a quick mediation to try and calm down. Now, these things are all so much easier said than done, and it took me a good while to learn to implement them into my life. But it got to the point where I didn’t really have a choice. I wanted to excel in school, and I had to come to terms with the fact that it wasn’t going away, so the most important thing you can do if you still want to excel in school with anxiety is ask for help. If anything, that will be the one thing that will allow the people around you to help you get through it, as anxiety is not something that you should try and get through by yourself, especially if you want those A’s. Here are some links to places where you can get a better understanding of anxiety and how to get some help.